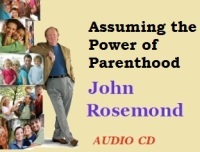 The Parenting by the Book two-CD set has all the warmth and wisdom of John Rosemond. Each CD is more than an hour long. Listen. Learn and enjoy! Website Exclusive! 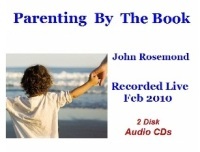 This CD was put in the bookstore because it was one of John’s most dynamic talks to date. You will not be disappointed! Website Exclusive! 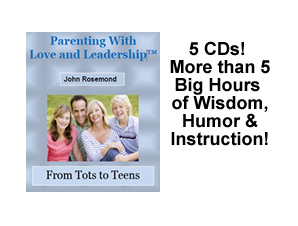 Want to hear the “best of” John Rosemond? Buy this CD! This CD was put in the bookstore because it was one of John’s most dynamic talks to date. Website Exclusive! 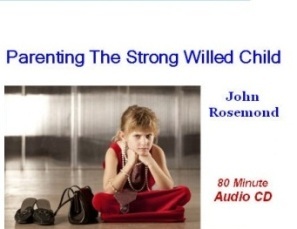 In this excellent series of talks, John tells parents how to deliver Love & Leadership in ways that strengthen children emotionally and help them grow into responsible, compassionate citizens. Website Exclusive! 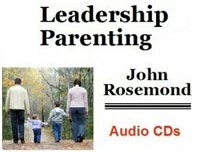 John Rosemond shares his common sense approach to problems encountered by parents of children of all ages. 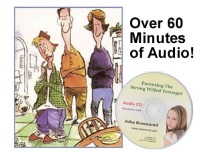 Two CD set of one of John's most popular talks to date! In "Parenting According to Grandma," he sets forth the fundamentals of his traditional, commonsense parenting philosophy.